Orders placed before 1:00pm are usually dispatched the same day. If for any reason there is an issue with the tint you recieve, just send us some photos of the problem, and if the fault is ours, we will send a replacemet or issue a refund straight away. We've had over 17,000 positive reviews from our customers around the world on eBay and our website since launching in 2008. In 2015 and 2016 we were shortlisted at the Cheshire Business Awards, winning highly commeneded for Innovation & Enterprise in 2016. Do roadworks drive you mad? There could be some good news! 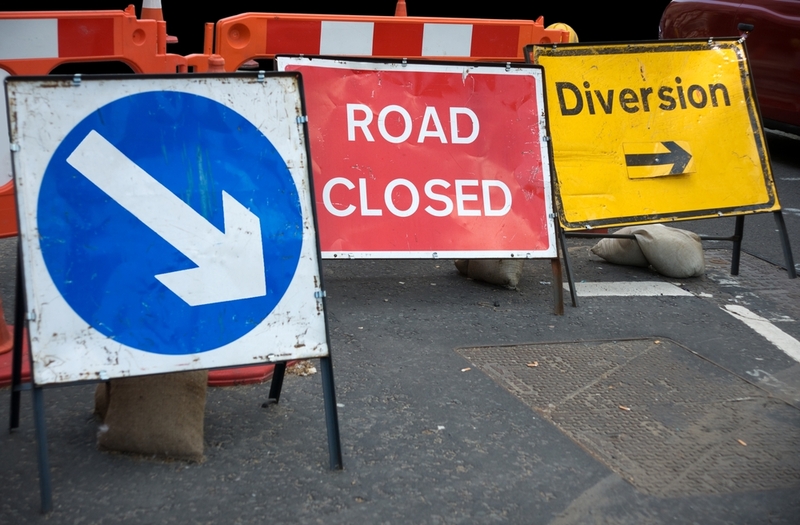 It has been announced that the Department for Transport have outlined proposals in which utility companies could be charged by the hour when undertaking roadworks. This attempt to reduce unnecessary delays will be good news for many UK motorists who find themselves regularly inconvenienced by roadworks. It is also hoped that going forward the different utility companies will work together to achieve as minimum disruption as possible to motorists, rather than all working on the roads at different times. For many of us there is nothing more frustrating than a company completing one set of roadworks, only for another company to come along and dig up the same roads again just a few weeks later. Trials have already taken place in London and Kent, where motorists have seen delays caused by roadworks drop significantly. And it’s also good news for the UK economy, as roadworks carried out in the UK have been shown to cost around 4 billion pounds in terms of lost productivity, delays and rising business costs. What do you think of the proposals? Do you think that they will work? Tinting Your Car Windows Is Good For Your Health! Window-Tint.co.uk is the trading name of Car Tinting UK Ltd, registered in England & Wales with company number 8806193. VAT#113570137. All prices inc VAT.